A few years ago, geese were hunted until they were almost all gone. Today, the geese have returned. In some places, there are so many that some people don’t like them. Geese will chase and nip people and they make messes on the grass in parks and on golf courses. 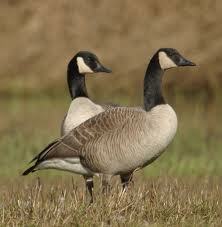 An amazing thing all about geese is that a few years ago, theywere hunted until they were almost all gone. Today, the geese have returned. Even if you think geese are messy and noisy, you have to admit, their babies are pretty cute. Mother geese build nests near lakes and rivers. The nests are flat, wide and made from grass, twigs, mud and feathers. The babies are fluffy, yellow and adorable! Baby geese can walk and swim a day or two after they’re born. Geese chase and nip people and they make messes on the grass in parks and on golf courses. Some geese migrate every year. Others stay in the same place year round. Geese eat seeds, nuts, grass, plants and berries. They love blueberries. Geese can live almost anywhere. They like fields, parks and grassy areas near water. Geese fly in a “V” formation. If one goose is injured, other geese will stay with it until it dies or can rejoin the flock. Geese are sometimes raised like chickens for their meat or eggs. Male geese protect the nest while the female geese sit on the eggs. Geese are related to Ducks and Swans. It takes about 2 years for geese to be fully matured. Worldwide there are about 30 species of geese. Geese have predators like the fox, raccoon and even the snapping turtle. Geese can live up to 20 years depending on species. Many people keep geese as pets and they prove to be very good pets. They keep the lawn short, clear away weeds and they can act as good as a guard dog. They are very loyal and will follow you around like a dog. Geese can fly as fast as 40 mph. 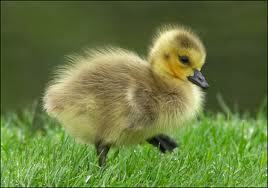 A male goose is called “gander”, a baby is called a “gosling”, a group of geese are called a gaggle. The female mom is related to as mother “goose”. Their babies are pretty cute. Baby geese can walk and swim a day or two after they’re born. 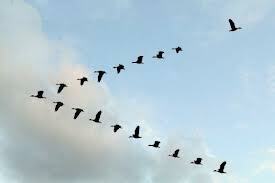 Geese fly in a “V” formation. A video explaining why gees fly in groups. 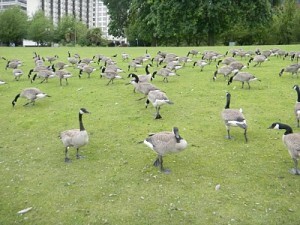 Answer: Geese make a loud honking noise, especially when angered. Answer: No. In some places, they’re considered pests. Enjoyed the Easy Science for Kids Website all about Geese info? Take the FREE & fun all about Geese quiz and download FREE Geese worksheet for kids. For lengthy info click here. Declan, Tobin. " Geese Fun Facts for Kids ." Easy Science for Kids, Apr 2019. Web. 20 Apr 2019. < https://easyscienceforkids.com/all-about-geese/ >.